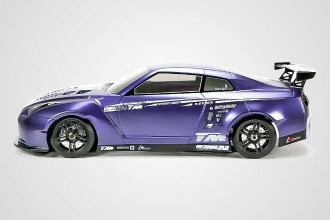 RC drift cars like many other Radio Control cars are built for one purpose – drifting. Albeit that there are a few good all rounders that can drift too. RC drifting just like real drifting started in Japan and has rapidly grown to a global scale. Many of the top end chassis’s and parts for drift cars originate from Japan. As a newbie you are not likely to be a wanting a top end chassis and definitely won’t want to be spending the type of money they ask. Firstly you will want to learn the basic drift skills and have a lot of fun. Because without the fun side boredom sets in and you probably won’t pursue the hobby further. For those reasons I recommend starting with a car that is inexpensive, has parts support – you know, you are going to break things! – and is easy to control. We will look at three basic RC drift car categories here, those being, entry level RTR cars, on-road/drift cars otherwise known as all rounders and counter-steer drift cars. My main aim here is to keep it simple and informative. You are going to encounter a lot of acronyms in this hobby, most are real easy to remember, the first is RTR – Ready-to Run. Meaning the car is ready to run out of the box. Charge the main battery, insert batteries into the transmitter and you are set to go. The first RC drift car we look at comes in three guises, essentially it’s the same car and it is the Exceed Madspeed Drift King – also known as the Redcat Lightning EPX and HSP Flying Fish. HSP is the manufacturer. Of these three RC drift carsl I think the Exceed has better looking bodies. But they are superficial because they are easily swapped for another 1:10 scale body of your choice. Exceed Madspeed Drift King is a 1:10 scale 4WD RC drift car. 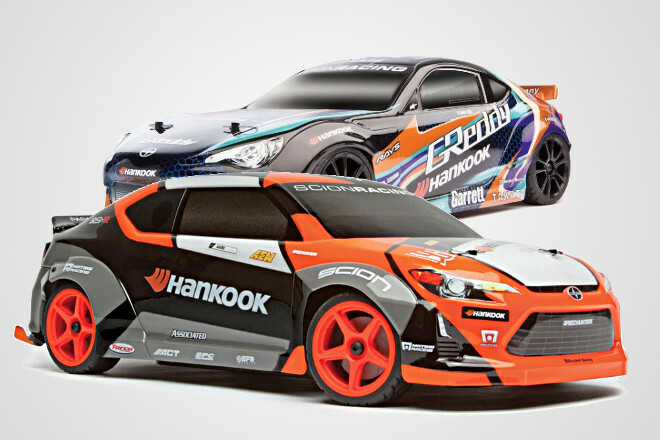 These RC drift cars come in two variations. One has a brushed motor and the other is brushless and has LED lights. Both models are shaft driven to two diffs. The diffs are generally good but do require a little maintenance. Shaft driven cars do perform better outdoors because stones and debris off the drift surface don’t impede the operation. Upper deck, motor mount and center drive are made from aluminium. In an entry level car these are normally plastic. Although this car is RTR and will have you drifting out of the box, some of the parts could do with upgrading and by doing so your driving will improve. Those parts are the shock absorbers and steering servo. Basically the stock servo is to slow. In drifting you want one that reacts quickly. I won’t go into suspension setup here, but do take a quick read of this guide from Drift Mission. Suspension is the first upgrade I would do. Improve the suspension and set it up properly is the best thing you can do to improve driver control. One other upgrade would be to get a 2S LiPo battery. Probably won’t improve your driving but it will give better run time and power. These parts are readily available from your local hobby store (LHS) or any one of a number of online stores. Not many stockists of their parts. Nitrorcx is the main supplier. 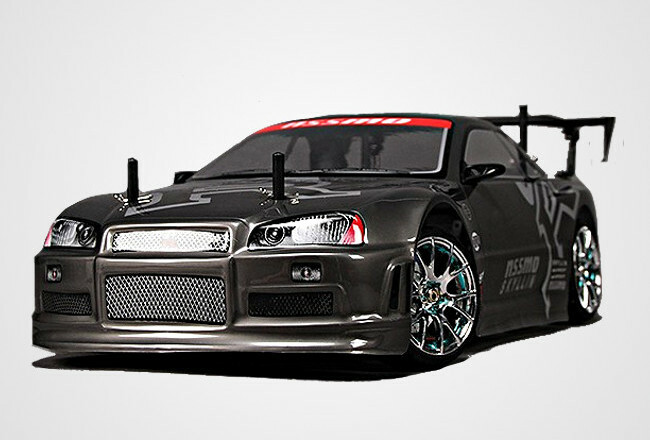 Next up is the Mission-D 4WD GTR from HobbyKing. This car is ARR or ARTR – Almost-Ready-to-Run. The Mission-D GTR comes assembled and setup right out of the box. It has a belt driven 4WD system connected to a locked rear axle (both rear wheels turn at the same speed all the time) and an adjustable ball front differential. RC Tek have a resource explaining ball diffs. The Mission-D’s suspension is fully adjustable. The shock absorbers are made from aluminium and are oil filled. Many RC cars in this price range have plastic shocks and no oil, only relying on springs for suspension. Sitting on all four corners are chrome plastic wheels which are fitted with hard compound, treaded, drift tires. Behind the tires you will see non working brake discs and calipers, giving a realistic look. On the electrics side, the car comes fitted with a 22T brushed motor, ESC (electronic speed controller) and a high torque steering servo. These are great to get you going and can be easily upgraded when you are ready. The Mission-D will need a couple more things because it is sold as almost-ready-to-run (ARR) it requires a transmitter with receiver and a battery and charger. Not having those items supplied is somewhat of a good thing, and here is why. You get to choose your transmitter type, so if you are left handed you can accommodate for this. Also when/if you upgrade to another car, it does not matter what it is, you can use your now personalized and known electronics with it. Same story goes for the battery. The Mission-D drift car will give good run times on a 2S 7.4V 5000mAh LiPo battery. Side note: Keep all wiring tidy and away from drive belts. HobbyKing offer many replaceable and aluminium upgrade parts. You get to choose your own transmitter – ideal for those lefties. All Yokomo DRB parts and upgrades fit. Body decals look cheap and nasty due to misspellings – possibly to avoid licensing. If you don’t want a dedicated RC drift car but want to drift and still retain normal driving functionality, like driving in a straight line, then an all-rounder car is what you seek. Almost any touring/road/rally RC car is suitable for drifting. There are cars that are better than others. Some of these road cars take a few minor changes while others require a complete setup change. By minor I mean swap the wheels/tires and you are good to go. While others require a full suspension, wheel and possibly gearing change. One of the biggest differences between a rally or touring car and a drift car is steering angle, often referred to as turn-in. The angle the front wheels can turn-in to a corner. 45 degrees is a good place to start. You may already know some of the more common all rounder cars on the market. HPI Sprint 2, Team Associated TC4, Tamiya TT-01 & 02 are a few. We will look at two very good all rounder RC drift cars here. They are Team Associated Apex and the Vaterra V100 S.
The Team Associated Apex is like the updated version of the TC4. This model has a few body choices from stock, the Scion is what we are showing here. When the Team Associated Apex Scion (Toyota 86, FR-S) debuted it was as a Touring Car (TC) but not long after it came out as a drift car with a Ken Gushi licenced replica body. The drift version maybe discontinued but, not 100% sure. It’s not an issue because drift tires are readily available. This RC car is RTR with only batteries for the transmitter required. Take time to read through the supplied manual and get to know the car a little first and while you are looking over the Apex do a check that everything is tight and secured the way it should be. You don’t want a breakdown on your first or second run. Team Associated’s Apex chassis houses a shaft driven 4WD system with oil filled diffs. Power comes via a brushless 3300Kv Reedy Motor. Giving life to the motor is a choice of two batteries. Option one is a 6 cell NiMH or option two is a 2S 7.4V 3300mAh LiPo battery. If your budget can stretch a little opt for the LiPo kit. You will appreciate the extra power and speed it gives. The electronic speed controller (ESC) is water resistant, making those wet surfaces driveable. It is also LiPo battery compatible. Control transmitter is a 2.4GHz XP system. It is also worth mentioning that the steering servo has a metal gear. Suspension is adjustable and the shocks are oil filled. Wheels are scale replica 10 spoke fitted with high grip treaded racing tires. Replace these for a set of drift tires so you can hone your drifting skills. Once you have driven the car a few times and have a feel for how it handles you will probably consider some upgrades. Springs for the shock absorbers. Either get the Touring Car Spring set (3988) from Team Associated or get a couple of variations of softer springs. Then experiment with setups for drifting. It is possible that you would have to change shock fluid weight. However that is getting out of the beginner league. And the obvious one, drift tires on another set of wheels. Vaterra is not as commonly known as many of the other brands on the todays RC market. 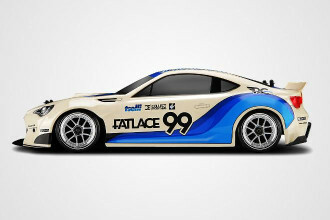 Vaterra is not as well known as many of the other major RC brands though it has made a niche for itself in the market with the licensed scale replica bodies it puts on the cars. 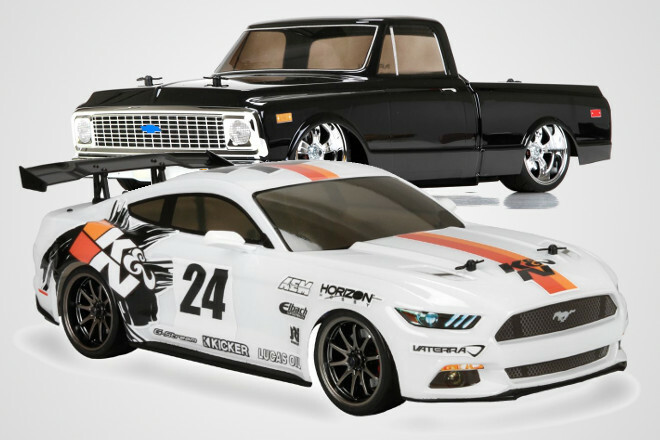 One thing that makes Vaterra Rc cars stand out from the crowd is their realistic, licensed scale replica bodies. 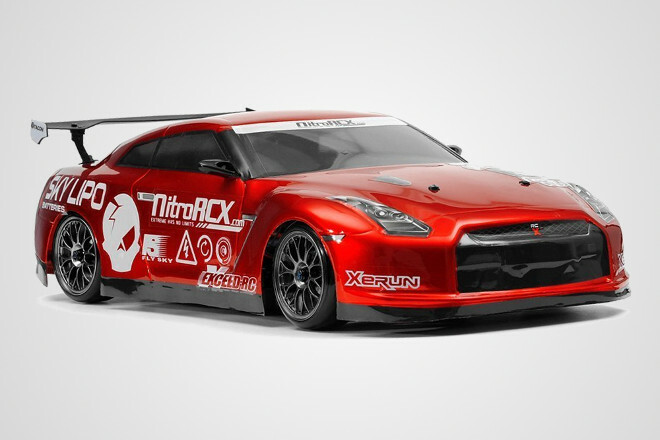 These scale replicas attract car enthusiasts from both sides of the fence, real world and RC. As for me I want the ’68 Ford F100 – It will more than likely only be a shelf queen, adding to my collection of models. To be honest nothing spectacular. But what is there works very well. The chassis, which is the base for all the V100’s, is built tough with little if any flex. Most of the Vaterra V100’s come powered by a 15T 540 brushed motor connected to a LiPo ready ESC. Though the cars come supplied with a 6-Cell 7.2V 1800mAh Ni-MH Battery. Electronics like the ESC and steering servo are waterproof, allowing for some wet day fun. The driveline is 4WD shaft driven and both diffs are sealed. Suspension and steering does not have a lot of adjustment, which is fine because the setup works well right out of the box. The friction shocks would be the first items to be upgraded to aluminium oil filled items. > Most 190mm and 200mm bodies from Tamiya and HPI will fit. An accessory body mount relocator maybe required for some. Watch this video to understand more. > HPI mounted super drift tires will have you driving like a drift demon in no time at all. > Vaterra V100 S and V100 C – what does the S & C mean? Shock absorbers (VTR333001) Though I would look into this kit #DSG-0050BU from Yeah Racing. 2S 7.4V 5000mAh LiPo battery and fast charger. 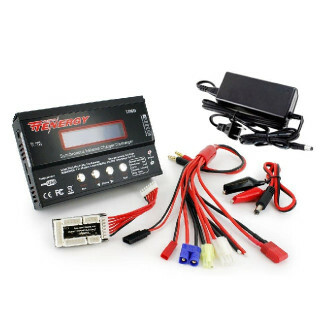 The battery charger supplied with the RTR kit is a fast charge item for NiMH batteries. This next RC drift car runs a setup called counter-steer. A quick explanation of Counter-steer needs to be given before moving forward. Counter-steer, also referred to as Opposite lock, is a driving style by where an excessive amount of oversteer is used to enter a corner, causing the rear of the car to swing out – slide – and then turn the steering in the opposite direction of the corner. Steer right to go left. CS Ratio is a term you will become familiar with and it refers to the drive ratio between front and rear wheels on a 4WD RC car. 1:1 (50/50) is the normal 4WD setup. Both front and rear wheels drive at the same speed. 1.5:1 or 1.5 CS ratio is a setup where the rear wheels do 1.5 revolutions for every 1 revolution of the front wheels. The higher the CS Ratio the more realistic the drift looks. Rear wheel drive (RWD) cars perform the most realistic drifting. Starting with a counter-steer car is going to give you a steeper learning curve. Better to hone your learning skills with 50/50 setup as used in the above cars. Counter-steer cars do not drive straight. Originally the MS-01D only came in kit form. But as a way to encourage new drivers in to the RC drift scene MST released the MS-01D in RTR. The MS-01D is a purpose built drift car. It is the entry level platform that can be built upon using a large variety hop up parts to upgrade the chassis in to a performance drift car. With the above cars I have tried to keep the descriptions almost technical free because lots of technical jargon tends to confuse. This car is a little different, some tech stuff is included and it’s mostly for those that have some knowledge of RC cars. Chassis is midship/forward motor design with two belts driving the diffs. It comes with a 1.54 CS ratio as standard. Ratios up to 4.0 are available. On the front is an aluminium one-way diff, while a locked spool is in the rear. Suspension and steering are fully adjustable. Camber goes from 0 to -12deg and caster from 4 to 14 degrees. Toe-in/out and KPI (SAI) are adjustable. Shocks are basic oil filled, though work well. There is a good variety of different springs rates available. 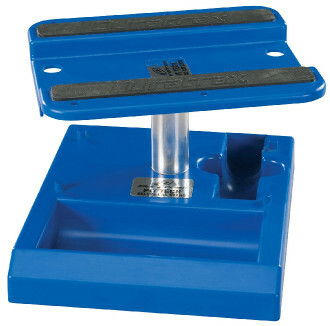 MST have balance weights available to add weight to the front or rear of the car if needed. Steering angle is 45-50 deg out of the box. With hop up parts more steering is available. Bodies are well detailed and most if not all come with light buckets fitted. Tamiya supplies the bodies. There is Euro and Japanese body options when looking at the RTR kits. There are two RTR options to be aware of. One has a brushless motor and the other a brushed. The brushless version has XBL on the box. 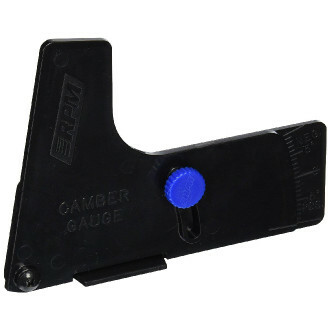 The cars battery holder will hold batteries with dimensions of 140 x 48 x 25.4 (mm) or smaller. Batteries with a Deans T connector will plug directly in. There is so many choices in the market for a RC drift car and the five mentioned here have barely scratched the surface. However, they are all good solid cars to get you started in to RC drifting. On my draft list I had more cars, unfortunately a few of them are not good beginner cars because they required assembly and the purchase of electronics. But there is two that are worthy of mentioning and the only reason they did not make the list is parts are hard to get or there is a supply problem. I know some of you would have been wondering about the HPI cars, especially the Sprint 2. HPI didn’t make the cut because there seems to be supply problems with the cars. It seems since Ripmax purchased the company not much has happened to get the flow of new cars or parts to market. In spite of that, HPI cars are good solid runners and there are still plenty of non HPI parts and hop ups available for them. RS4 Sport 3 is a shaft driven 4WD touring car, that with a set of HPI super drift tires and the optional rear spool fitted, becomes a drift demon. In standard form it has a brushed 15T 540 motor or there is the Flux with a brushless 4000KV motor. On the HPI website is shows the Sprint 2 as discontinued. There is two RTR options, brushed or brushless. The limited supply or more correctly limited stockists of parts and hop up upgrades is why it missed the list.